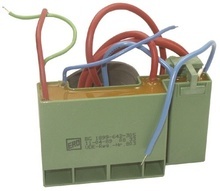 Varistor protectie la supratensiune: 275Vac 430Vcc 2500A 10mm radial. Cross Reference: 10D431 JVR-10N431K JVR-14N431K. 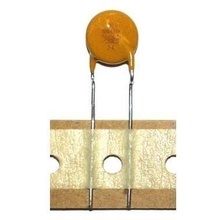 Varistor protectie supratensiune: 275Vac 350Vcc 4500A 16mm radial. Cross Reference: JVR14N431K 14N431K. 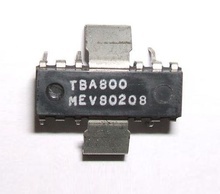 Varistor protectie la supratensiune: 250Vac 390Vcc 1000A 10mm radial. 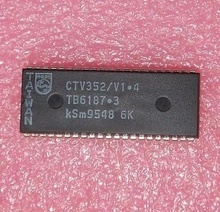 Cross Reference: 10D391K 238159552516 S14K385 VDR-EPCOS. AM/FM / SSB/CB Complete Radio with 0.7W Audio Amplifier, DIP16 package, original Telefunken. 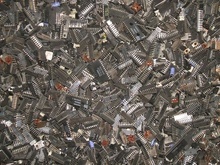 Cross Reference: A283 K174XA10 TDA1083/2 TDA1083/3 TDA1083/2B TDA1083/3B TDA1083/3C ULN2204. 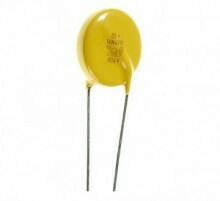 Varistor protectie la supratensiune: 250Vac 390Vcc ±10% 4500A 15mm radial. Cross Reference: 10N391K JVR14N391K VDR250VA. 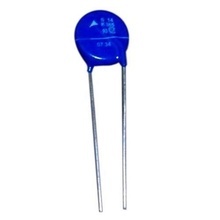 Varistor protectie la supratensiune: 300Vac 470Vcc 4500A 10mm radial. Cross Reference: 10K300 JVR-14N471K S10K300 S10 K300. Audio Power Amplifier 5V-30V 9mA-1, 5A 5-7W 30Hz-18KHz QIP12 +TAB-C / SO71, equivalent: HIT200L/LS TBA790K TBA810 TBA810A TBA810AS TCA810A TCA940 TSA810AP UL1481. 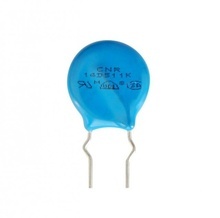 Varistor protectie la supratensiune: 420Vac 680Vcc 400A RM5 radial. 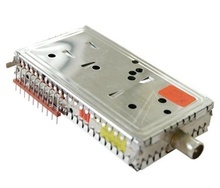 Varistor protectie la supratensiune pentru retele telefonice: 75Vac 100Vcc 2500A 10mm radial. Cross Reference: 10D121K. Record/Playback Circuit, Audio Very Low Noise Input Amplifier (VI = 1.2µV) with Automatic Level Control (ALC System), DIP14. 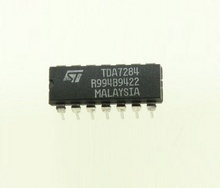 Octal D-type transparent latch 3-state, SOIC-20, equivalent: 74HC573 74HC573DB 74HC573T M74HC573. 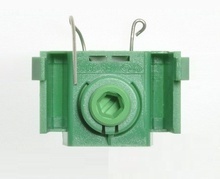 Sliding Variable Resistor (linear potentiometer) 10R for zoom control digital camera. 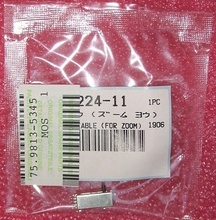 Grunding Panasonic Sony Cross Reference: 122522411 / 1-225-224-11, 75.9813-5345. 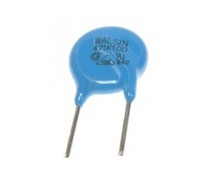 Varistor protectie la supratensiune: 300Vac 385Vcc 2500A 10mm radial. Cross Reference: SR471K10D. 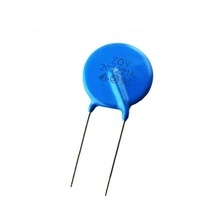 Varistor protectie la supratensiune: 130Vac 200Vcc 2500A 12mm radial. Cross Reference: JVR-10N0130K S10K130 VAR10-130. 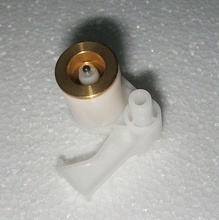 30 Mohm Focus Potentiometer for High Voltage Kaskade, Original ERO. Anode Cable with Parallel Bleeder 520 Mohm and serial 1 Mohm for High Voltage Kaskade, Original ERO. Anode Cable with Serial Bleeder 45KΩ for High Voltage Kaskade, Original ERO. Anode Cable with Parallel Bleeder 520 Mohm for High Voltage Kaskade, Original ERO. Quad 2-lnput NAND Gates with High Voltage Open-Collector Outputs DIP14, equivalent: 74L26 74L26N 74LS26N DM54LS26J DM74LS26M DM7426 DM54L26N DM74LS26N DM54LS26W SN74L26N. 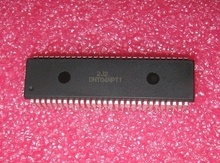 8Bit uProcessor Bosch / Siemens Device SDIP42, Service. Cross Reference: 00736328 012513220 14DW340. 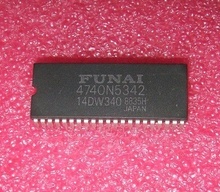 4Bit CMOS Single Chip MicroComputer with Display Controller/Driver SDIP64, Akai Service. Cross Reference: UPD75217CW 035 D75217. 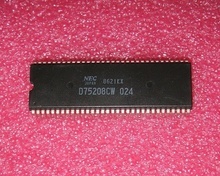 4 Bit Microcontroller, Original Service Parts Akai JVC Kenwood Philips Thomson Universum, DIP64. Cross Reference: 339576082 uPD75208CW 024 8621KX. 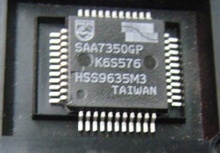 High speed 16 Bit Microcontroller SDIP56. Cross Reference: DHT04NP-T1. 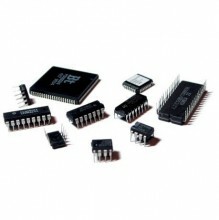 High speed 12 Bit Microcontroller SDIP64. Cross Reference: DMB4631V DMB4631W 957-271. Brat incarcare si tensionare banda. 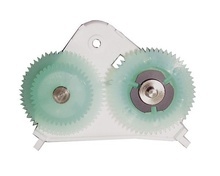 Cross Reference: PQ46337A-7 Ladezahnrad VCR LOADING ARM TAKE UP & DOIGHT TENSION BAND. Angrenaj roata dintata cu came pentru ghidare incarcare banda. 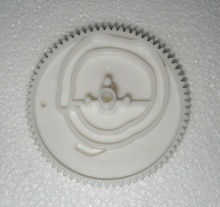 Cross Reference: 11471 VCR Cam gear, Loading Gear Wheel, Ladezahnrad, Kurvenrad. Ansamblu rola parghie cu brat pentru ghidare banda. Cross Reference: Hebel Beruhigungsrolle. Ansamblu angrenaj intermediar, Konig. Cross Reference: Zwischenrad Einheit for 11467. 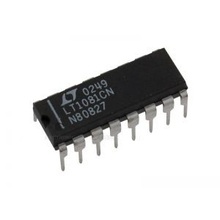 Stereo Audio Digital Analog Converter 16-32 bit mode I2C bus I2S bus interfaces, QFP44. LG/JVC Service. 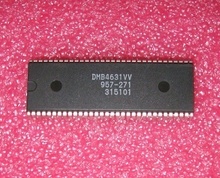 Cross Reference: 0IIT355000B DAC3550AQGC2. 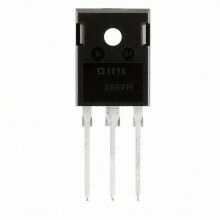 Varistor protectie la supratensiune: 150Vac 240Vcc 400A 5mm radial. Cross Reference: JVR-07N241K. High Voltage Kaskade, Original ERO. Cross Reference: Triplor tensiune. High Voltage Kaskade, Original ERO. Cross Reference: Triplor tensiune BG1899-642-303 BG2032-642-3206G HRT265 HRT402. PLL - Tuner / Modulator Stereo Hyperband. 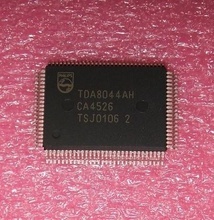 Grundig Service Cross Reference: 295020178400 295020176800 TDA6060G TL082C TUA6010XS. 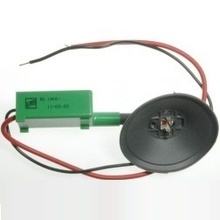 IR-FB Sender Transmitter DIP16. 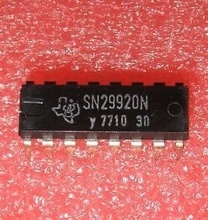 Cross Reference: SN29920 SN29920AN. 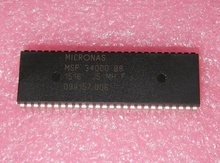 Procesor Philips, Profilo-Telra, Schneider Siemens chassis SM1, SDIP42 case, equivalent: CTV352S/V1.4 CTV3521V1.4 PCA84C841P/198S1. 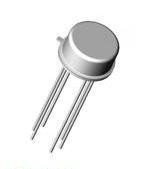 Comparator Operational Amplifiers ±15V 70mA TO39/6pin, Grundig Original Service Parts TCA311A DIP6. 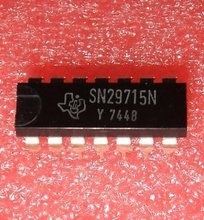 AUDIO AMPLIFIER 2W 5-14V, equivalent: KIA7207AP KIA7207 TA7208AP, IF NO STOCK: N.L.A. 20-Bit Stereo Digital Analog Converter for CD/DVD Player, QFP44 case. 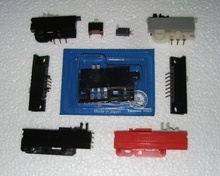 Kenwood Marantz Pioneer Original Service Parts. Cross Reference: SAA7350AGP SAA7350WG. 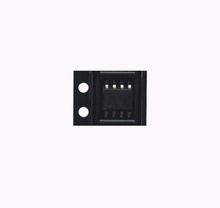 Voltage-Feedback Operational Amplifier SOIC8, Sony Original Service Parts ref. 875934919. 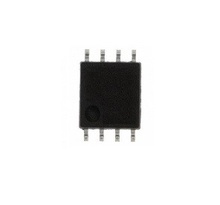 Switching Regulator Controller SOP8 use in DC/DC converters for battery-powered portable equipment. Freq. 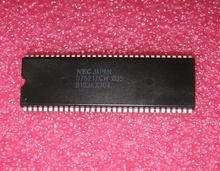 10 KHz - 500 kHz, Original Service Part-MAT-No: 7598759332 3776A MB3776A. 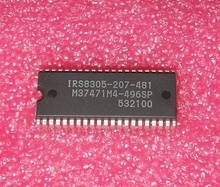 Frequency Prescaler Syntetizer, Dual serial input PLL (Phase Locked) 600MHz SOP20. 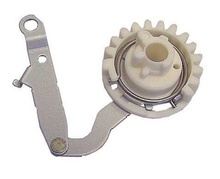 Fuji Original Service Parts. 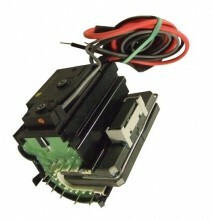 Switching regulator controller SOP16, Sony Original Service Parts: 875963146 875963263. Dual Comparator SIP8, Original Service Parts for JVC. 8-Bit CMOS Microcomputer. 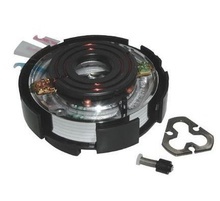 Grundig / Sony Original Service Part-MAT-No: 8305207481 875929989 M37471M4-469SP. 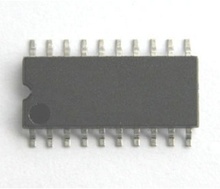 EEPROM Serial Interface I 2 C Bus 256Kbit SO8. 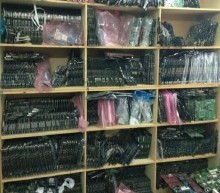 Cross Reference: 4256AW6 4256BRP AO48N HYMD264G726B M24256 M24256A M24256AW M24256AWMN M24256-BWMN6. 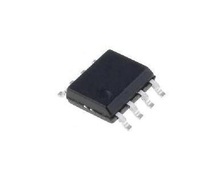 Dual High Side Micropower MOSFET Driver SOIC8. Cross Reference: 1155 875927786 LTC1155. High Voltage Kaskade, equivalent: BG1898-541-007 BG2032-642-3202 BG2032-642-3005 ERO Original. VIDEO IF Procesor, equivalent: uPC1366 C1366. CTV SECAM/PAL-TRANSCODER, DIP24. Cross Reference: TDA3590. 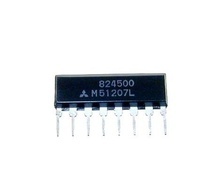 Logic CMOS Multiplexer / Demultiplexer SOP14, equivalent: BU4052B CD4052BE CD4052B CD4052BCN CD4052BP HEF4052B HEF4052BP LM4102 MC14052BCP SM4052 SM4052B. 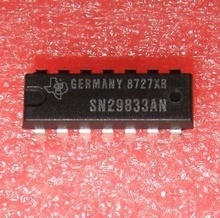 Dual Operational Amplifier SO8-M. Grundig Original Service Part-MAT-No: 759813470900 2115 2115-JRC NJM2115 NJM2115AV NJM2115D NJM2115M New Japan Radio. Anode Cable with Parallel Bleeder 530 Mohm and serial 1 Mohm for High Voltage Kaskade, Original ERO. Anode Cable with Parallel Bleeder 530 Mohm for High Voltage Kaskade, Original ERO. Anode Cable with Parallel Bleeder 500 Mohm for High Voltage Kaskade, Original ERO. Anode Cable with Parallel Bleeder 200 Mohm for High Voltage Kaskade, Original ERO. Anode Cable with Parallel Bleeder 350 Mohm for High Voltage Kaskade, Original ERO. Anode Cable with Serial Bleeder 24KΩ for High Voltage Kaskade, Original ERO. 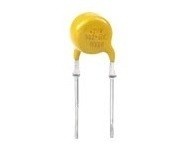 High Voltage Kaskade, Original ERO, equivalent BG2097-641-320. 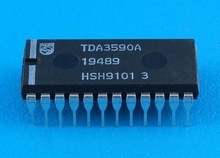 TTL BINARY COUNTER DIP14, equivalent NTE7493A SN8493 SN8493A SN8493N. 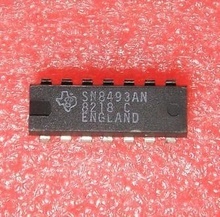 Logic TTL DIP14 equivalent: SN29833A SN29833N SN29833ANS. Decoder/Demultiplexer DIP14. Cross Reference: SN29715 SN29715AN. 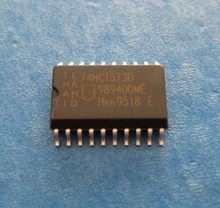 Low-Voltage, Low-Saturation Bidirectional Motor Driver SO8 (MFP10S SO10), Original Service Parts Panasonic/Technics Device. Cross Reference: 1270A 25040S L24805A X25040S-3C70 X25040S-E315D. 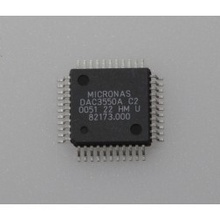 I²C BUS Multistandard Sound Procesor, SDIP52, equivalent MSP3400G-PP-B8-V3 MSP3400GB8V3, cod. Cross Reference: 045000001501 759550975400.